Hello exercise, how I’ve missed you! 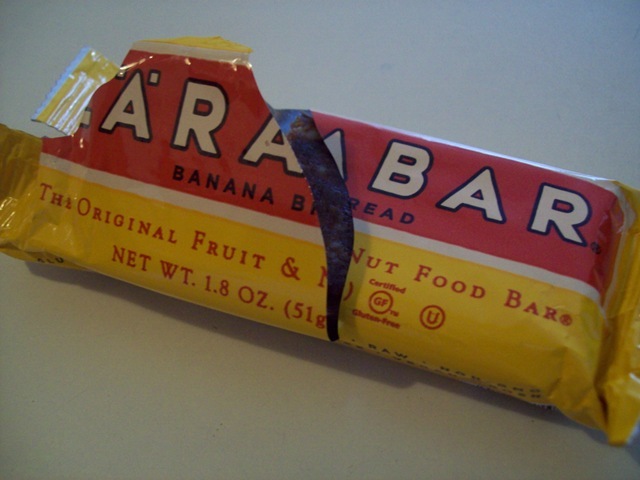 Before I left I ate a delicious Larabar. With so many flavors to choose from, I never get tired of these things. 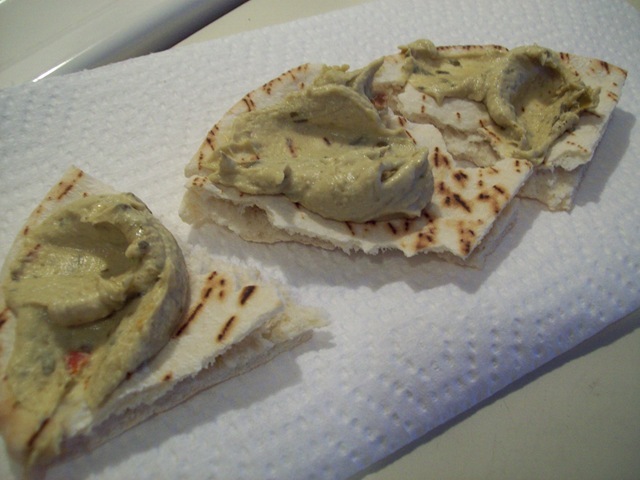 Plus it’s nice to have a go-to snack that is vegan and with very few ingredients. After my snack, I hit the YMCA for a beginner’s Body Pump class. If you have never done Body Pump before, it is a group fitness class that uses barbells. It is a total body workout: upper body, lower body, abs, you name it. The beginner’s class just lasted 40 minutes (including some basic instruction) so I hit the treadmill for a 30 minute interval run. Needless to say, I FEEL AWESOME! 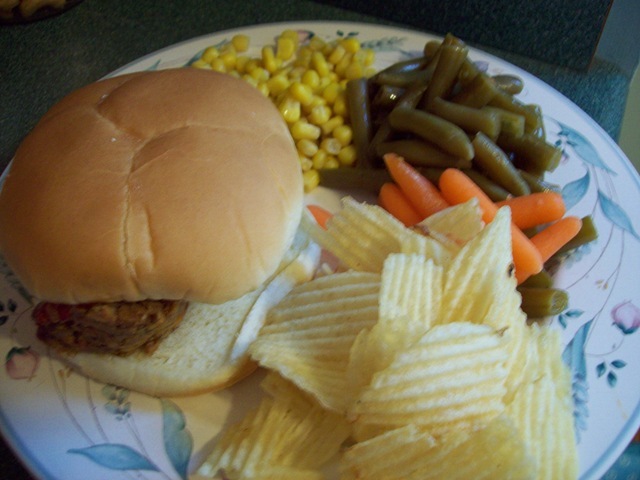 When I got home, I made some lunch. 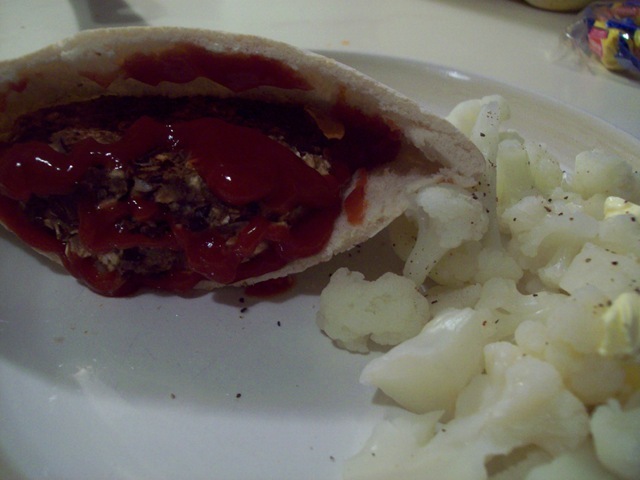 My last leftover black bean burger, plus some cauliflower (with Smart Balance Light) and an applesauce. 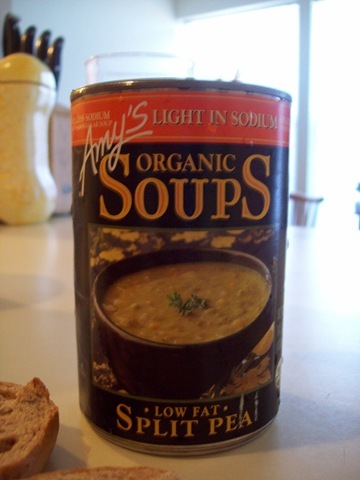 *Note – this applesauce contains calcium lactate and I haven’t yet researched what source they use for this. I know some vegans avoid this (I don’t) so I just wanted to throw that out there. Lunch really hit the spot! But tonight is girl’s night potluck so I’m really looking forward to that as well. Don’t forget to enter the Musselman’s giveaway before 11:59 tomorrow night! Thanks everyone who has entered into my Musselman’s Giveaway so far. You have until 11:59 tomorrow night so keep ‘em coming! 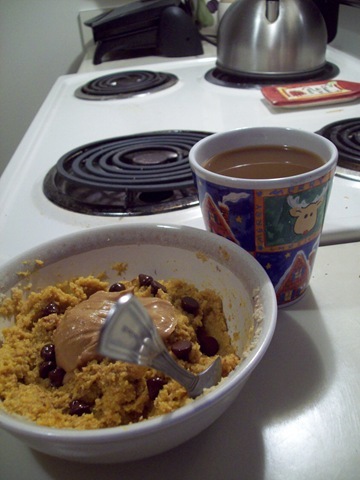 For breakfast, I did have more than a enormous mug of coffee. 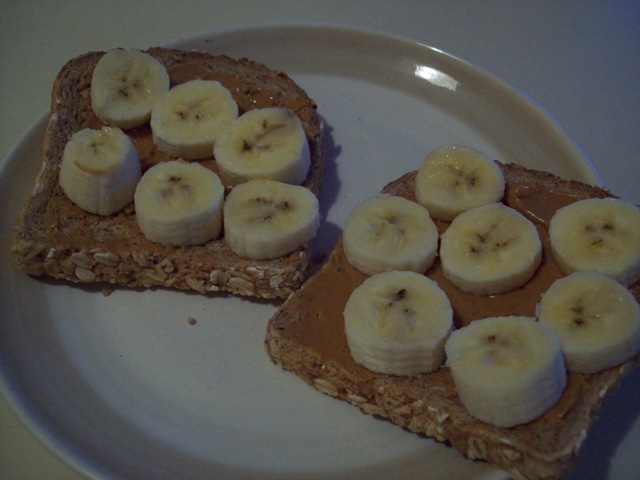 Enter some Ezekiel toast with peanut butter (which I measured today) and banana. I still haven’t decided what all to do today but exercise is making its way in there somehow. And perhaps a trip to Kohl’s? I’m thinking either cycling, body pump, or just going in there and running on the treadmill and doing some weights on my own. We’ll see! Well, well, what could this be? 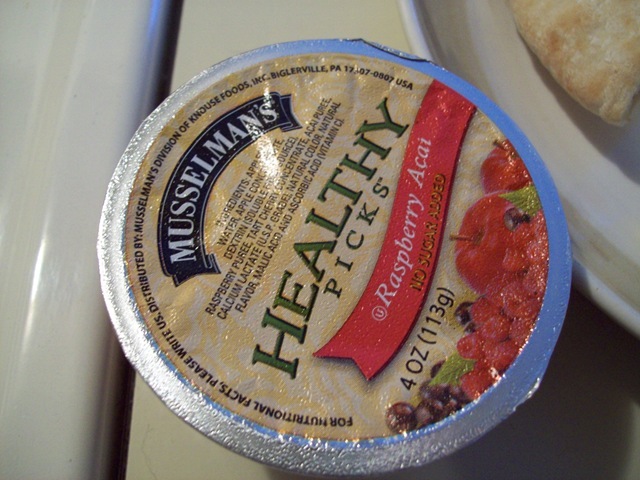 As you guys know, I am a big fan of Musselman’s applesauce. 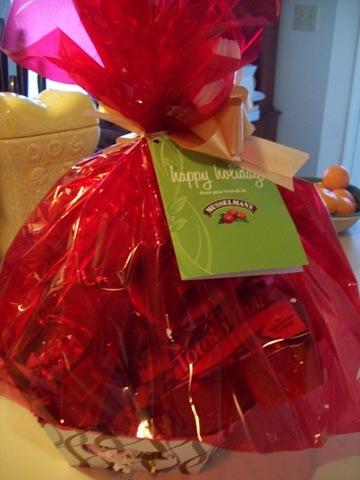 So much that they sent me a lovely gift basket just in time for the Christmas holiday! 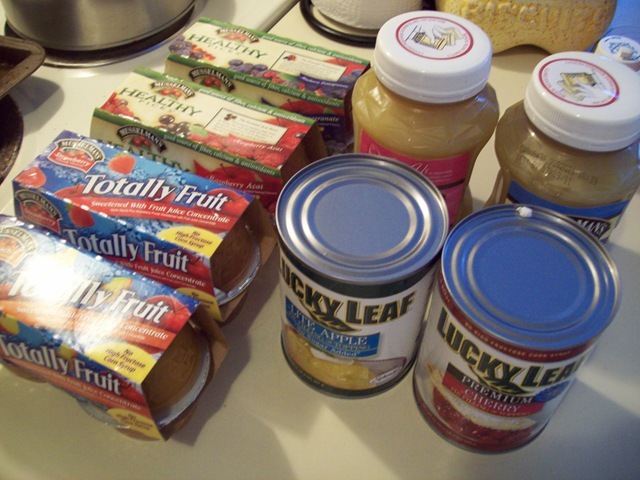 Would you like some applesauce goodies of your very own? IT’S A HAPPY NEW YEAR GIVEAWAY! To enter, just leave a comment with one goal that you have for 2010. 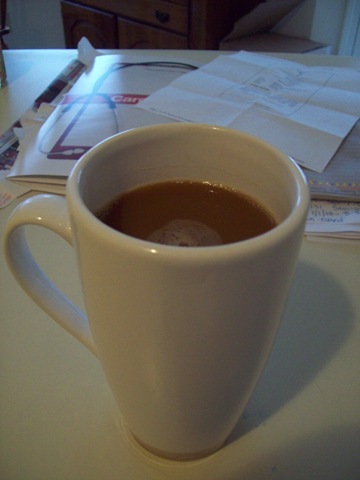 You can also post this on your blog (leave another comment here) and Twitter (leave another comment) for extra entries. The deadline for entering will be 11:59 p.m. December 31st, 2009. After lunch today, I decided to head to Wal-Mart and Target to return something and shop a bit. Two and a half hours later, I definitely feel like I got a workout today. Which is good since I skipped the gym, again! 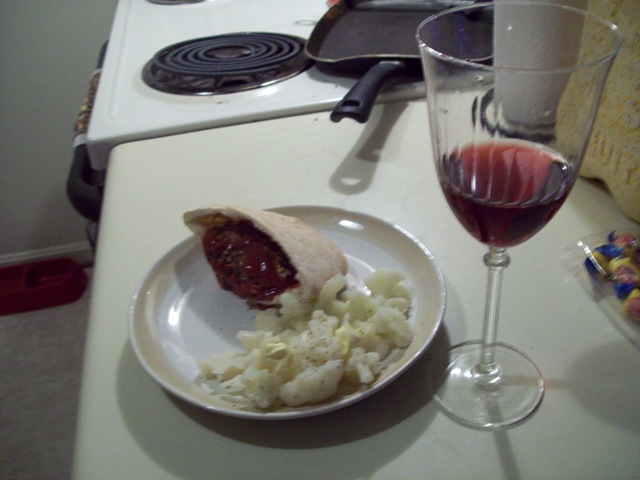 I probably would’ve stayed out later but I was hungry and had nothing but pita and hummus on the brain. So home I went. 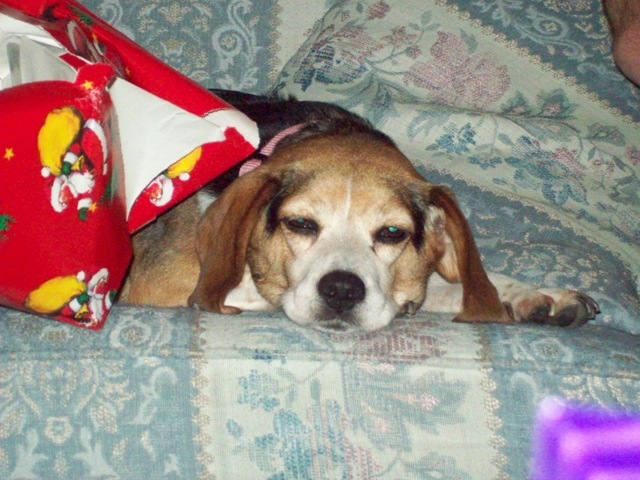 Suzie was also still being incredibly lame. Nice to know I didn’t miss anything. 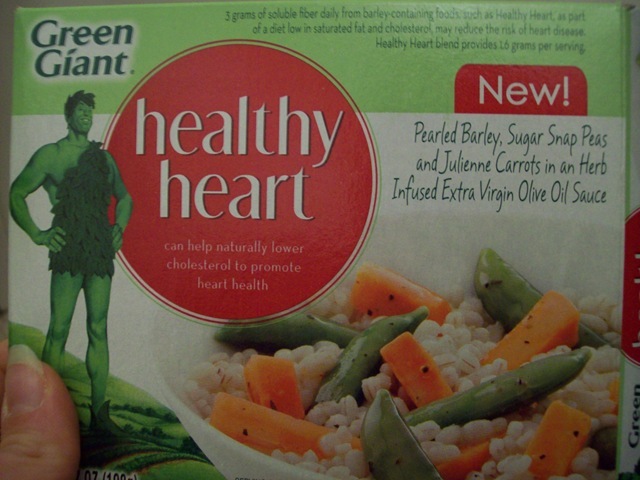 For dinner, I tried a new selection from Green Giant. I had been avoiding these because most of them contain butter sauce or cheese, both of which do not fit into my mostly vegan diet. But hooray for EVOO sauce! This was tasty. 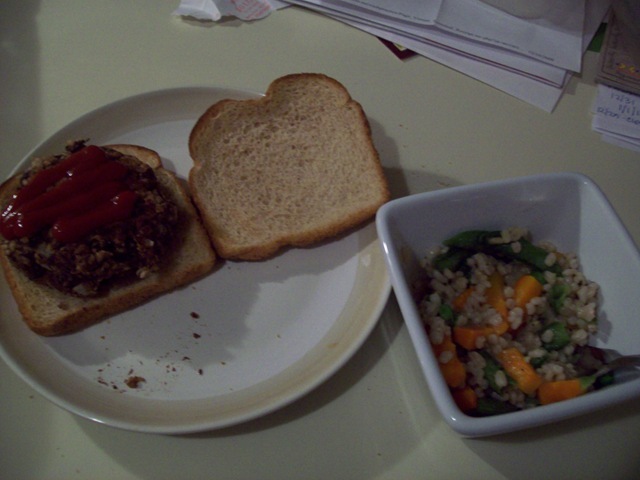 I also heated up a leftover black bean burger on some whole wheat toast with ketchup. Today, I recommitted to my healthy eating by actually measuring out portions and eating when I am hungry and not more than I need to fill me up. I can tell I have eaten a lot less today now that I’m paying attention again. It’s not a diet, it’s just getting back to basics. 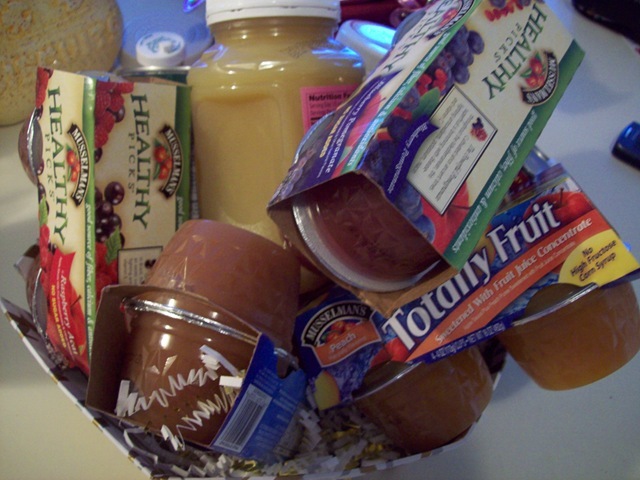 Healthy foods, portion control, no mindless or emotional snacking. I did okay over Christmas though, I actually lost a pound! But it’s always good to take a step back and make sure your healthy habits are in check. For those of you ready to make some changes in your lifestyle or perhaps just reignite your passion for healthy living, don’t wait until January 1st. Do it right now, this very minute! You can have a fresh start anytime, not just when you turn over the calendar. Tomorrow, I will recommit to exercise. I’ve had a nice few days off to rest my body but now I’m ready to hit the ground running again! Putting the loaf in the pan. There are a few people in my family who do not like ketchup so I did half and half on top. 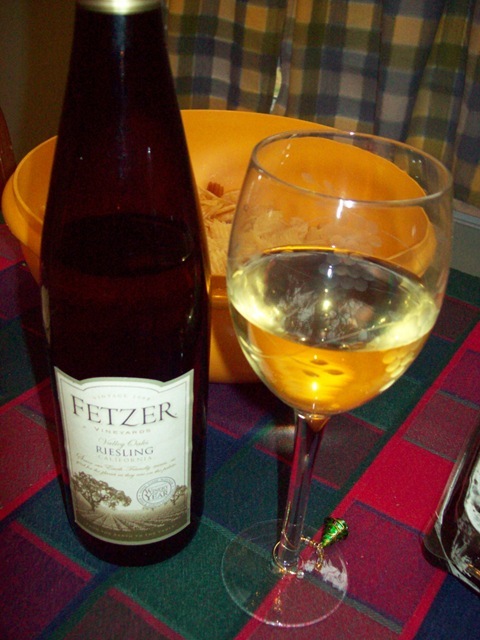 Also had a couple glasses of Riesling! Lazy or just on vacation? 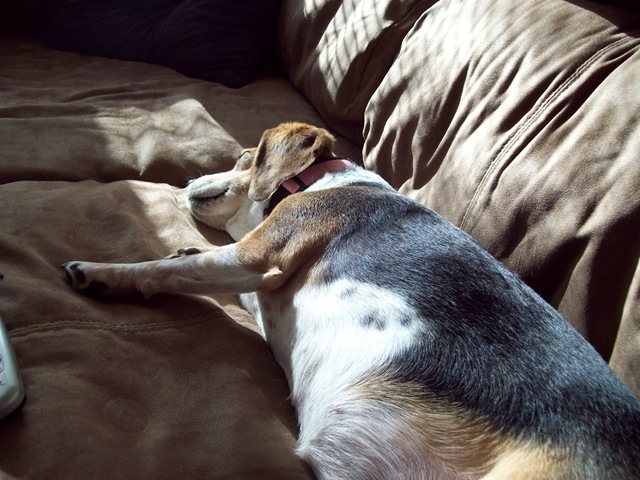 I haven’t really exercised in a few days either. I have a complimentary membership to the YMCA from now until January 3rd but for some reason, I can’t get up the motivation to go. Suzie is a bad influence. I’ve also slept until almost 9:00 every day, pretty much unheard of! I feel lazy, but at the same time, I think I needed this rest. Did I mention mini-marathon training starts next week? Yikes! 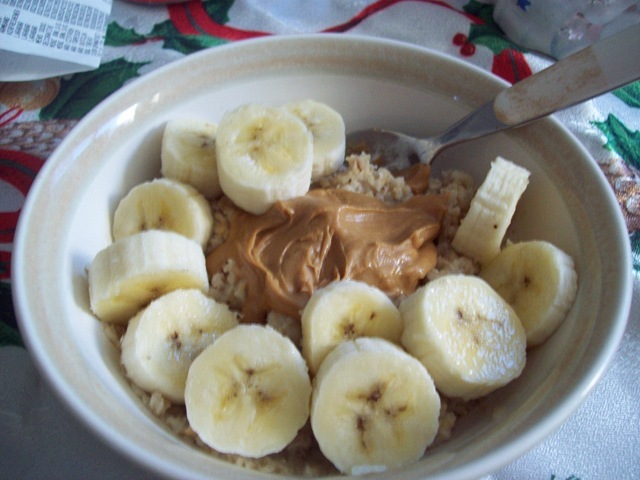 For breakfast, I kicked it old school with my usual (and favorite) oats with banana and PB. 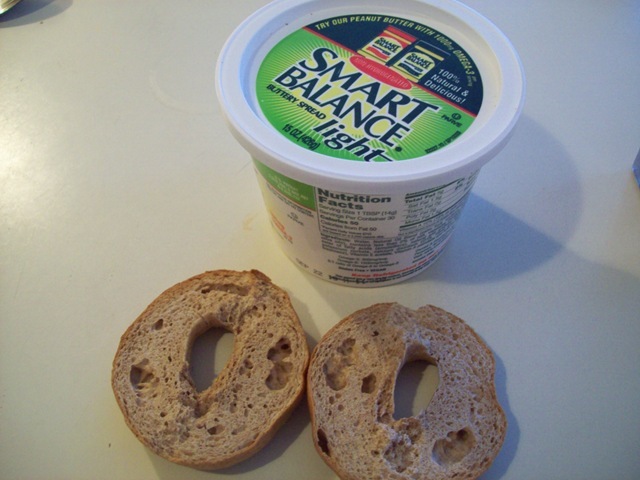 I just had lunch which was Amy’s split pea soup (2nd best) and a mini bagel with Smart Balance Light. 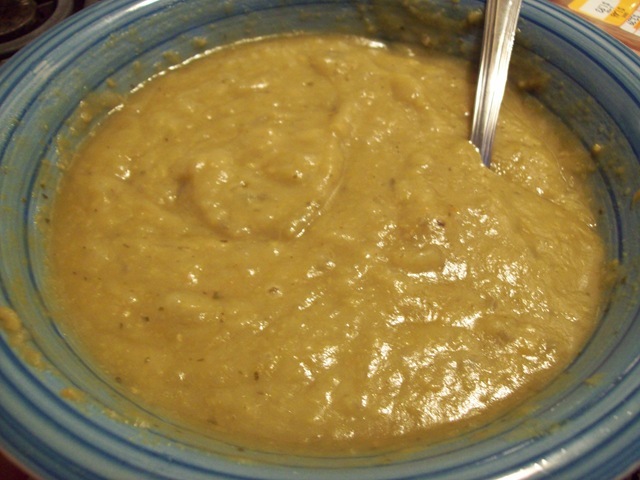 Split pea soup is one of the most unappetizing looking foods that tastes really, really good. I’m so glad I became more open minded when it comes to certain foods! 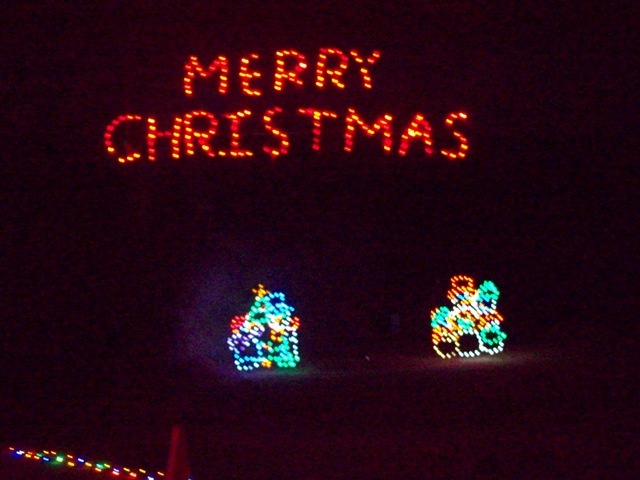 Hope you all had a good Christmas and close out 2009 with a bang! I can’t wait to start working on my goals for 2010. What are yours? 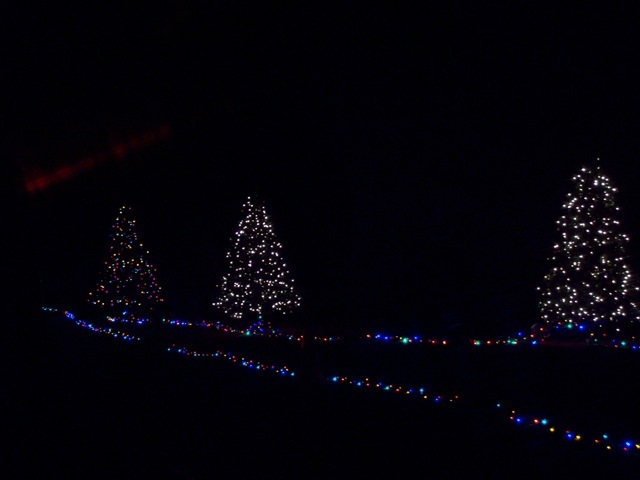 On Wednesday night, we went to Lights Under Louisville, which is this really neat underground cave that they decorated with lights and other Christmas (and Hanukah!) decor. You drive through the whole thing in your car! Yesterday I ended up not going to the gym after all because we had rather warm weather, so I went for a run! I must’ve been excited or out of practice because my knees were hurting a little bit last night. 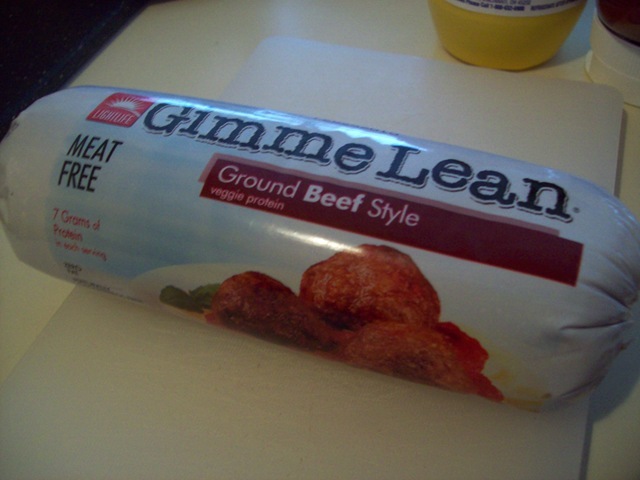 Time to go make a meatless meatloaf! I am really excited for my family to try it, I really think they will be surprised. As I enter into my first vegan Christmas, I was reminded of an experience I had earlier in the week. 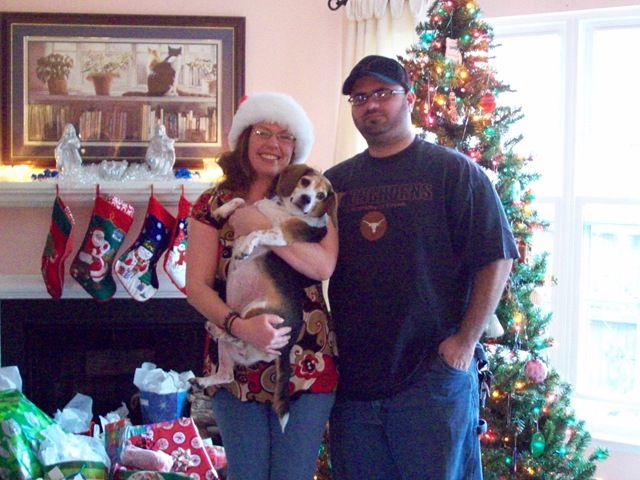 On Tuesday, we went to Bearnos Pizza with our entire department for a Christmas lunch. Now, this place has a menu, but mostly everyone just gets the buffet, so I just went with it. I had two big plates of salad and veggies and was hoping for some spaghetti with marinara but it ended up being baked penne pasta with cheese so I had to pass. This is where the interesting thing came in…I half way thought about having an “off” day and eating some veggie pizza. I took some time to think about it and thought about how much it would hurt my stomach, especially since I haven’t had dairy in almost 3 months. By the time I had all those conversations in my head, I wasn’t even hungry anymore! I had filled up on salad and veggies, plus two plain breadsticks. 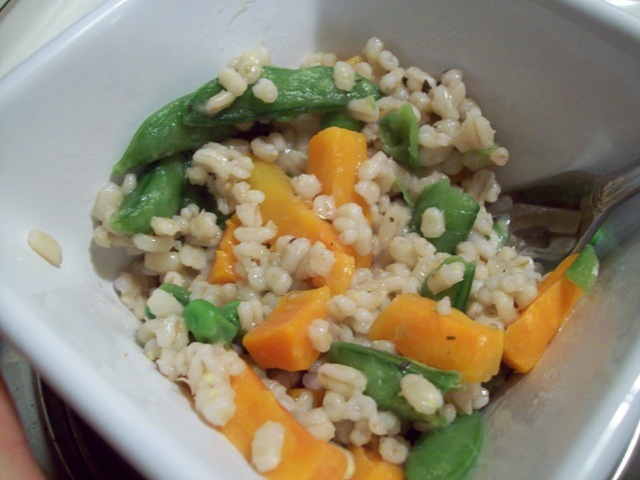 As we were leaving, instead of feeling deprived or upset about my lack of options, I actually felt really good about my choices and my commitment to eating a vegan diet for my health and my body. I think it is great to get put in situations like these because it is a really good test of how committed you are and how you handle tough food situations. Whether you just try to eat healthier or you have specific dietary concerns, I believe everyone goes through this once in a while. And whether you find it was a positive or negative experience, it’s all a learning experience which in the end is a good thing. 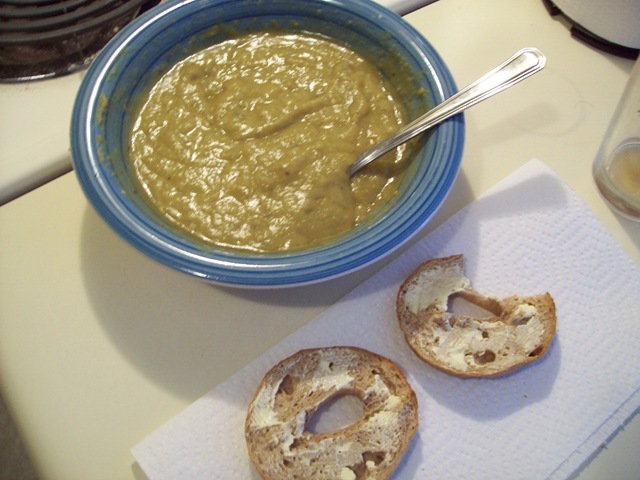 How do you handle challenging food situations? 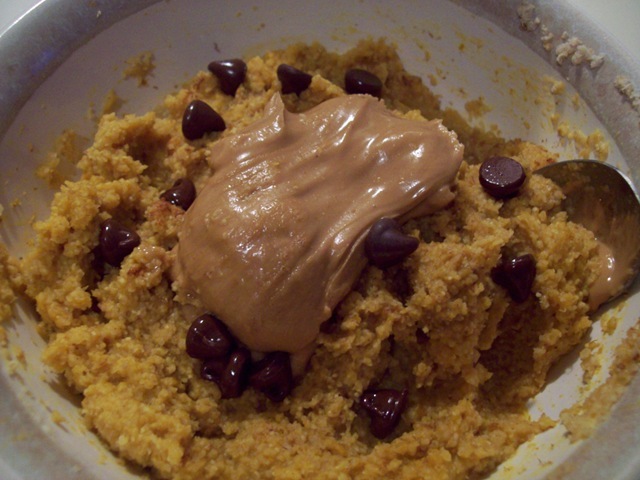 Are you ever tempted to eat something you usually avoid? Hope you all get lots of presents and quality time with your families these next few days. 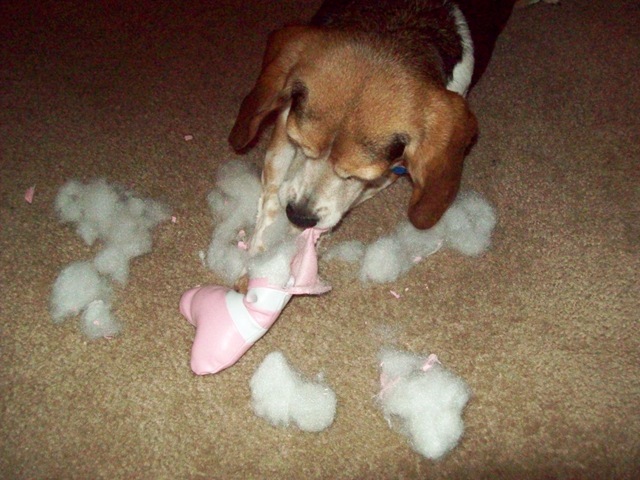 Suzie sure has been enjoying hers so far! 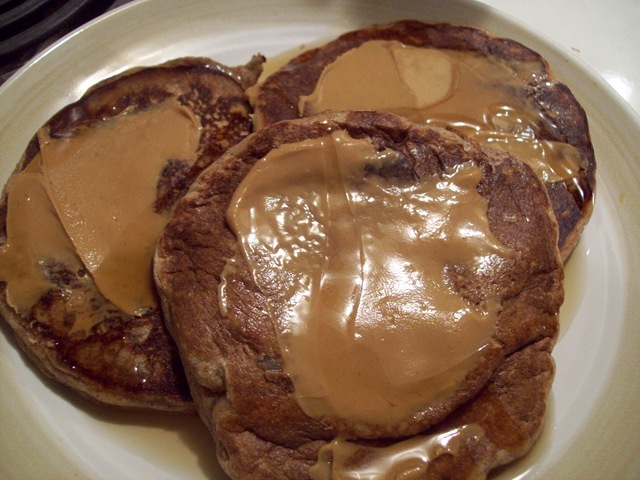 This time I added extra cinnamon and it definitely made a difference! It was really hard not to eat the last one but I knew three was more than enough, plus it means I get to eat it again another day. I’ve been really excited about my first vegan Christmas. My first vegan Thanksgiving was a success and my in-laws have been very accommodating to my lifestyle choices. Now it’s time to celebrate with my family! My mom sent out an email earlier in the week to let us know what food would be there and that we could bring anything we like. 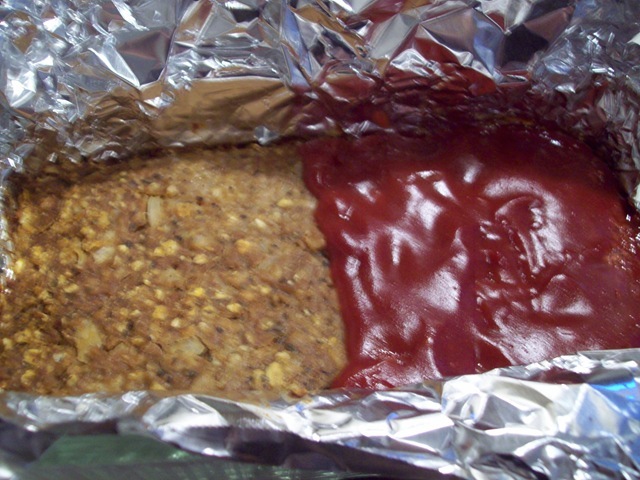 I am taking a meatless meatloaf and replied that I would love for everyone to try it! What are you doing for Christmas? Will you be making any special dishes? 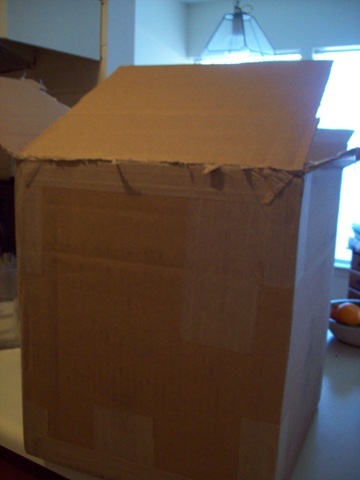 I’m off to the YMCA to enjoy my complimentary Christmas-break membership. Spinning here I come!! Wow, I didn’t realize just how behind I was. Not only am I struggling to write my own blog again but I’m having trouble catching up on your alls too. Let’s just look at today for now, shall we? 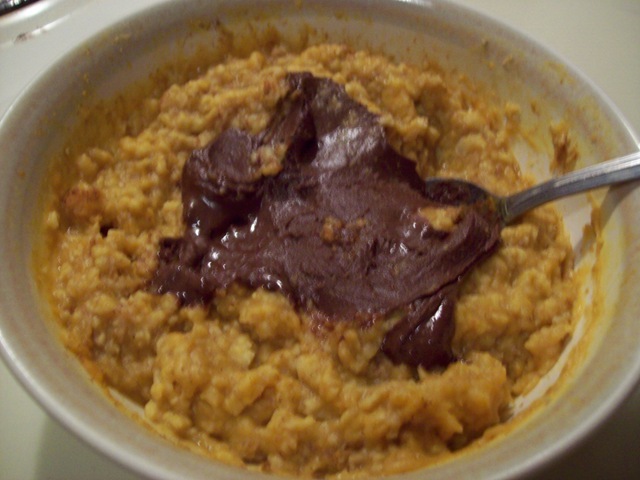 Pumpkin oats with Dark Chocolate Dreams. Holy breakfast! This was so awesome I wish I’d thought of it sooner. 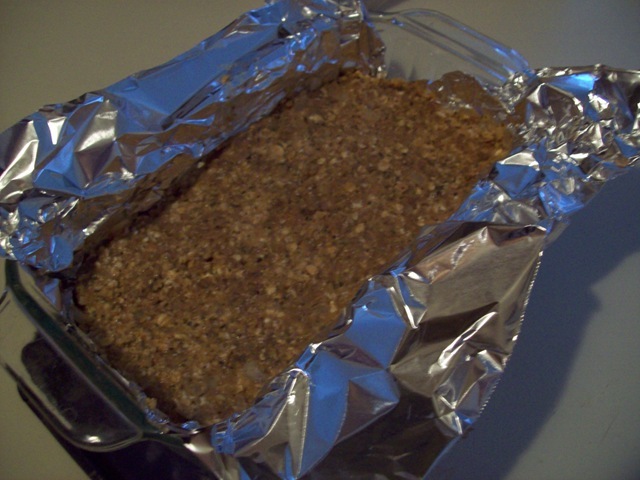 Mid morning I snacked on a vegan rice krispie treat and worked hard to get everything done before the big holiday break. 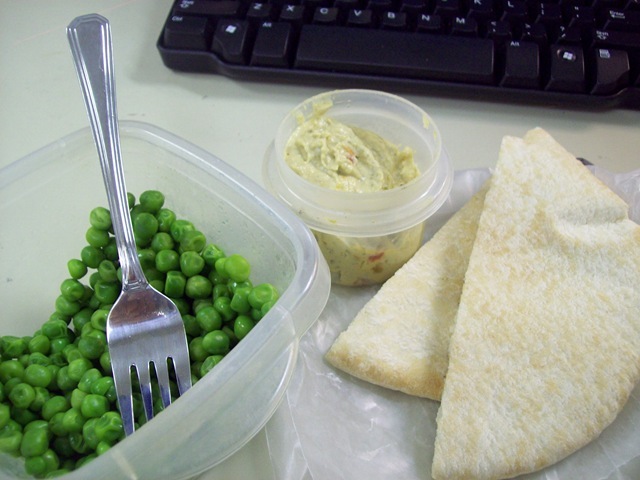 Lunch was some pita, hummus and peas. Random but good and filling. 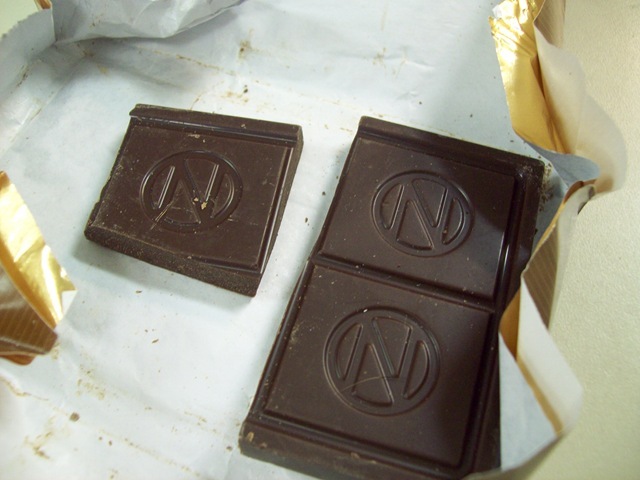 Finished off my Newman’s Own chocolate, must get some more of this! My workouts have been really random lately since I was suffering from a major toothache and then working to build my appetite and energy back up. But today, I managed to get an awesome 30 minute incline workout on the treadmill and then lifted some weights and did some abs before heading home to make dinner. 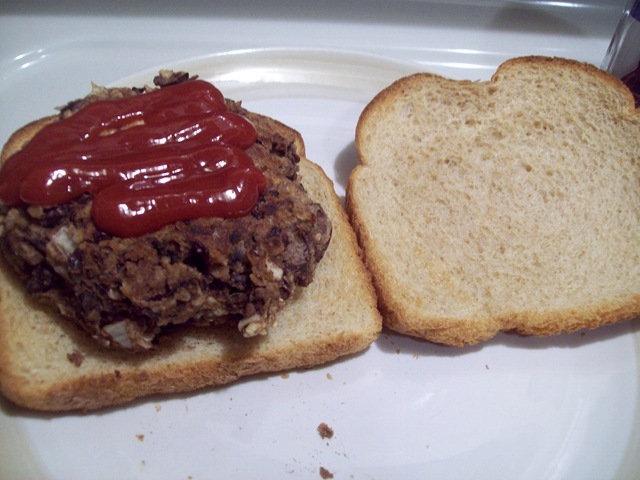 I love Mama Pea’s black bean burgers! Best burgers ever, who needs Boca? 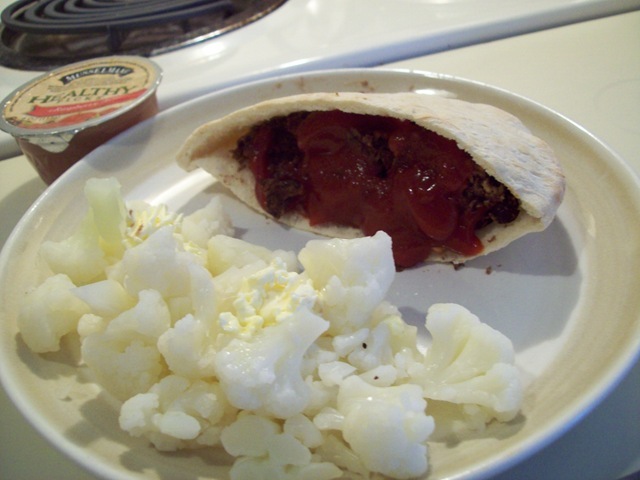 Inside of a pita pocket with organic ketchup and cauliflower on the side. 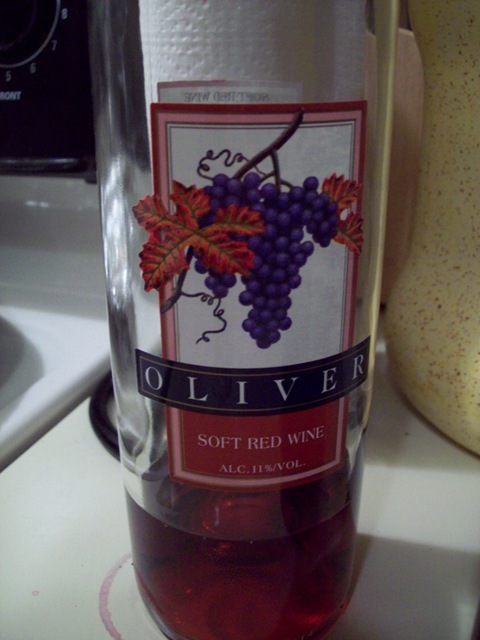 This is semi-local Oliver wine from Bloomington, Indiana. It lived up to its description, very soft and just slightly sweet. I’d like to try more from this brand. My cookie balls are really good. 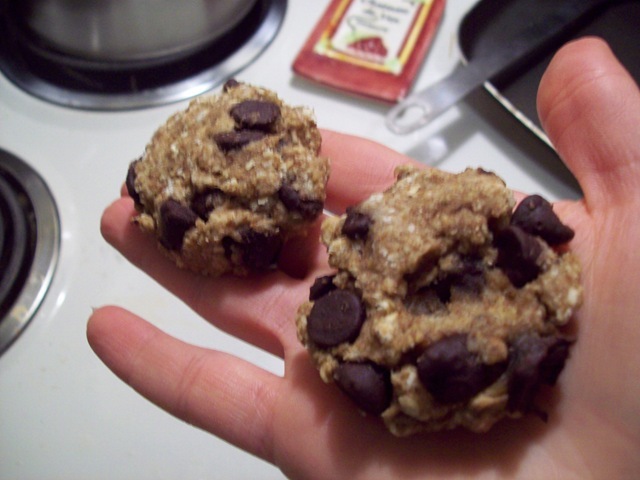 Check out Lindsey’s recipe to make ‘em yourself! Tonight, all us girls are piling into the car to go check out some Christmas lights and I hear there might be a Starbucks run along the way?